“Handling” refers to how the vehicle reacts—or fails to react—to input from the driver. Vehicle reactions to steering input that may contribute to accidents include understeering, oversteering, and power steering failure. Understeering occurs when the front tires plow straight despite the driver turning the wheel, and can commonly occur in front-wheel drive vehicles when tires are filled with snow or mud, causing the driver to lose control of the vehicle. 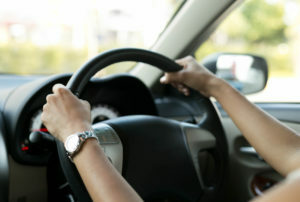 The steering may feel “loose” in a vehicle that is understeering. Oversteering, on the other hand, occurs when a small steering input causes big movement in the vehicle, and can commonly occur in wet or icy road conditions when there is less friction between the road and the tires, resulting in the vehicle fishtailing. The steering may feel “tight” in a vehicle that is oversteering. Understeering and oversteering are usually caused by something, and whether a car is prone to understeer or oversteer can change. For example, a car prone to understeer can oversteer after a tire tread parting. Power steering failure is another potential handling defect. A jammed steering lock, a failure in the mechanical steering lock, a failure in the mechanical steering linkage, or a variety of other part failures can cause loss of steering, many of which have been the subject of recalls. One particular cause of power steering failure recently investigated by the National Highway Transportation Safety Administration relates to defects in the hydroboost hydraulic systems of diesel trucks. 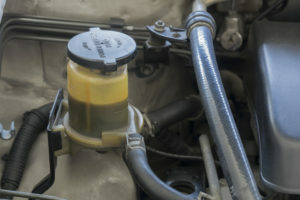 A hydroboost system defect may cause loss of both power steering and power brakes. The function of the pedals also affects a vehicle’s handling. Flaws in a car’s acceleration system are often difficult to detect and prove, but they are among the most dangerous. Identifying and proving this or any type of defect can not only help an individual plaintiff, but can also lead to recalls making the roads safer for everyone. When the issue of sticking Toyota acceleration pedals first came up, the company dismissed the claims, saying that the issue was interference between floor mats and the accelerator pedal—even when the sticking happened in cars without floor mats. However, after an extensive number of incidents of sudden unintentional acceleration, scientific studies by automotive engineers and trial lawyers, and the unsealing of the company’s internal documents, it became apparent that the Toyota sudden acceleration problem is caused by an electrical system defect that goes unchecked by the vehicle’s fault system. Toyota was fined $16.4 million and has recalled over seven million vehicles because of this defect. Brake failure is the cause of most severe car accidents. This failure can be a result of part failure, design or manufacturing defects, hydraulic brake lines impairment, defective repairs, or poor maintenance. Brake failure has been the cause of several automotive recalls. Maintenance records can provide important evidence when a commercial vehicle suffers brake failure. 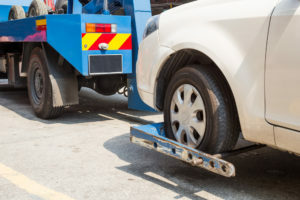 Lower ball joint, wheel, and axle failures are other potential defects that can cause a driver to lose control of a vehicle and lead to accidents. For example, when a lower ball joint fails, one corner of the car drops to the pavement. These types of defects may be caused by manufacturing faults or may be inherent in the materials used.